iCloud Backup is simply a copy of the data on your Apple device. With a space of 5GB, it continuously backs up all information on your iPhone or iPad daily, as far as it is turned on, Wi-Fi connected, and a power supply. iCloud Backup makes it easy to bring back your old data and configuration on a new iPhone or iPad or if you want to wipe your device. iCloud Backup information like App data, Device settings, Health data, HomeKit configuration, iTunes purchase history, Messages (iMessage, MMS, and text), Photos and videos, Visual Voicemail PIN, etc. It can grow into massive data, which may consume a considerable portion of your storage. Therefore, many people want to know how to delete iCloud Backup. 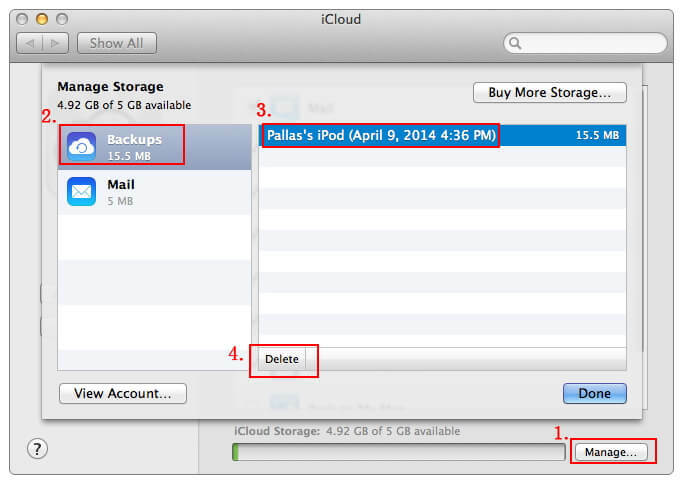 Part 1: How to Delete iCloud Backup? As we both have iCloud on our iPhone and computer, it’s necessary to know how to delete iCloud backup on iPhone, Mac and Windows computers. Step 1: Go to the Settings application on your iPad or iPhone. Step 2: At the top, select Apple ID. It contains the name used in signing for your Apple ID. Step 3: Select iCloud then Manage Storage. Step 4: Select Backup and choose the device backup you wish to delete. Step 5: At the lower side, select Delete Backup. Step 6: Finally, select Turn Off and Delete. Step 1: From your dock or Finder, Go to System Preferences. Step 2: Select iCloud. If requested, you have to sign in. Step 3: After signing in, Select Manage located at the right angle below your window. Step 4: From the left, Select Backup from the menu. Step 5: Select the backup you wish to delete. Step 6: From the bottom, select Delete. Step 7: A pop-up appears, choose Delete. Step 8: Finally, choose done. N/B: you can repeat the stages from, five if you wish to delete more backups. 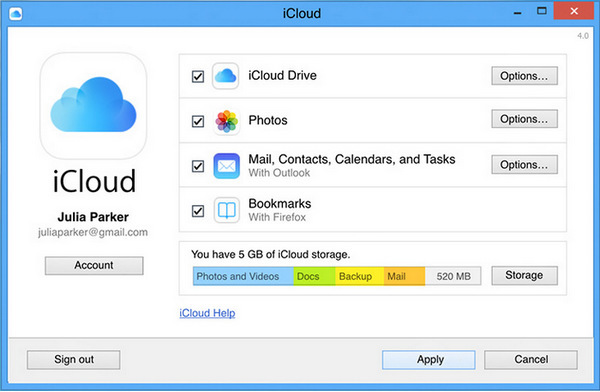 Step 1: Launch iCloud for Windows, and select Storage. Step 2: On the left pane, choose Backups. Step 3: On the right pane, pick the iOS device whose backup you wish to delete. Step 4: Finally, select Delete. 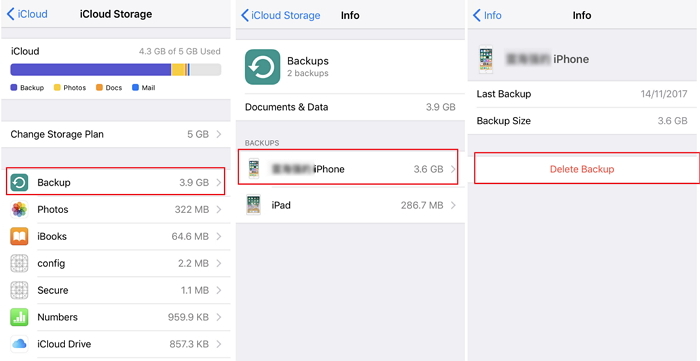 If you don’t want to know how to make iCloud backup and how to delete iCloud backup, you can choose an iPhone Transfer tool to back up your iPhone data. iMyFone TunesMate is the software that specializes in iPhone Files Transfer and can easily transfer files between your device and PC. TunesMate provides the best Alternate for backing up information from iPhone to PC. Besides, it has been highly spoken by many media, like Getintopc, Geekreply, etc. Transfer files between your device and computer easily, bypass iTunes restrictions and unknown iTunes errors. Share iTunes music amongst close pals, including diverse Apple IDs. Back up your media from any iOS to your music collection, quickly rebuild damaged iTunes Library.efficiently. 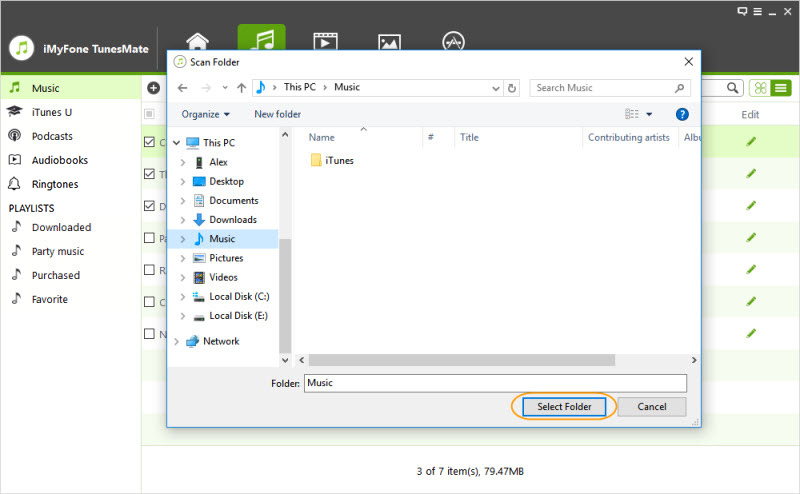 Allows users Backup iTunes files to a device without the use of the password. Remove undesirable apps promptly with just a tap, you will have a clean device and more storage space. To your relief, there is truly a much faster and simpler method to access iPhone on PC without iCloud Backup. Step 1: Open TunesMate and attach your iPhone via a USB cable. Step 3: Select the music you wish to transfer. Then from the top menu, select “Export”, followed by Export to Computer. Step 4: Select your preferred folder and hit “OK” to begin the transfer process. 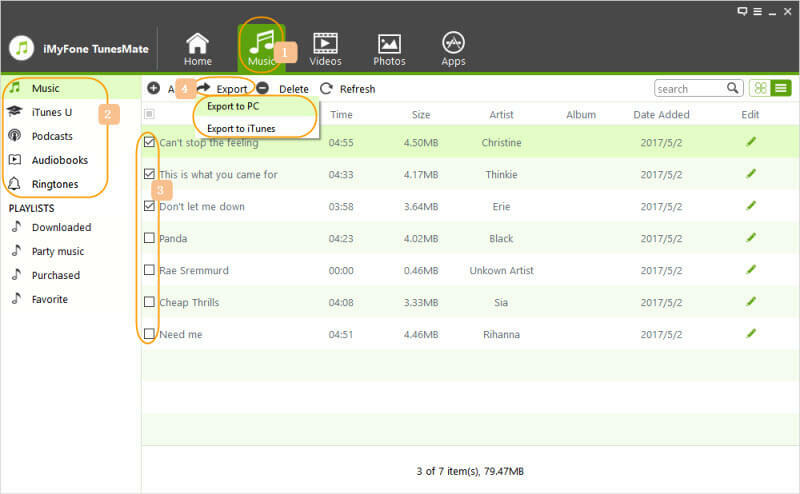 Step 5: When the transfer process is complete, a pop up appears showing “Export Successfully.” Select “Open Folder” to see all the successfully transferred songs. The instant deleting backup is recommended, you might wonder inspire such thoughts. But it is totally fine. It is okay to erase an iCloud backup since we usually have our devices backup on a PC. You can also have another backup, in case, by getting an iTunes backup for your iPad or iPhone. And again, if you turn iCloud Backup on, your device will still start the backup process whenever it is turned on, locked, Wi-Fi connected, and a power supply.